R. Craig Brantley, CLF®, RICP®, AIF® joined Capstone Financial Group, LLC as a financial professional. With 18 years of experience in financial services, Craig specializes in retirement income planning for his clients. He educates on a variety of aspects of retirement including social security, employee stock options, retirement (401(k)) plans, defined benefit pension plans, and deferred compensation plans. Craig uses a comprehensive approach, but offers guidance designed to keep it simple, relevant, and impactful. Craig also works with business owners by creating and designing business succession plans and offering informal business valuation services. Craig earned his Bachelor's degree at the University of South Alabama. Craig is a Senior Financial Representative for Principal Financial Group® and a Registered Representative and Investment Adviser Representative with Principal Securities, he holds the Chartered Leadership Fellow® (CLF®) professionaldesignation and the Retirement Income Certified Planner® (RICP®), and the Accredited Invesment Fiduciary (AIF®) professional designations. He serves as on the Mobile Board of the National Association of Insurance and Financial Advisors (NAIFA). 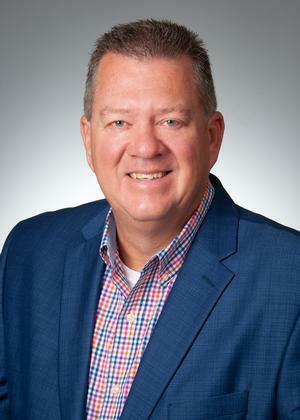 He is a four time Leader's Edge qualifier for Principal Financial Group, Principal Securities Top Flight qualifier, and a five time Qualifying Member of the Million Dollar Roundtable (MDRT). Craig is Life/health licensed and Securities registered with a Series 6, 63, 7, and 65. He is licensed in Alabama, Mississippi, Louisiana, Texas, Florida, Georgia, and Virginia.